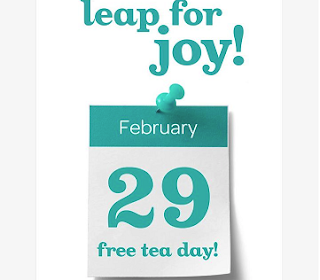 This year is a Leap Year and February 29th is free tea day at DAVIDsTEA! You will have a choice of two different large teas "on tap" at all locations. Choose from Green & Fruity or North African Mint!